I don’t think I have felt so bittersweet about ending a trilogy since The Lord of the Rings concluded 15 years ago but, fittingly, at its heart the final film is about letting go. Unlike Pixar’s recent string of sequels, Dreamworks Animation is driven more by storytelling than cashing in on nostalgia (writer/director Dean DeBlois conceived the second and third films together), although there are wonderful flourishes that refer back to original film through dialogue, through actions, and through the score. Building these characters over the course of a decade allows for emotion to be conveyed subtly, like a silent gaze from Astrid as she realises how her adherence to values of traditional masculinity unintentionally hurts Hiccup. Viking society continues to provide an excellent backdrop against which to explore modern notions of masculinity (as in the underrated Norsemen TV series), particularly as Hiccup shoulders new burdens as chief. 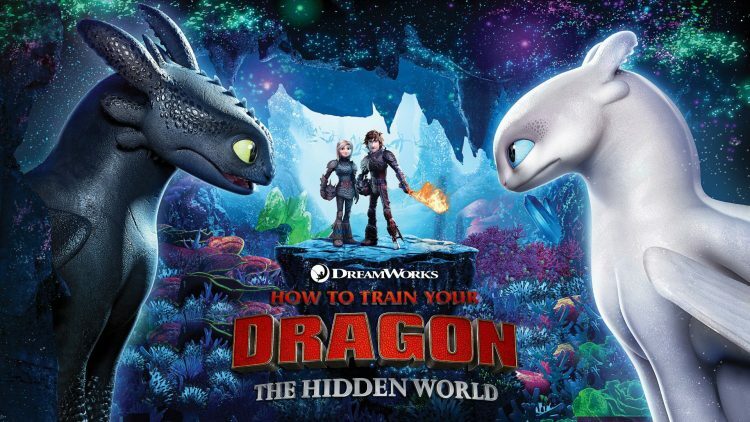 Although the discovery of a female “Light Fury” is the inciting incident that takes the whole village of Berk on the move, the changing relationship between Hiccup and Toothless is the real focus. The swashbuckling action is impressive and keeps the energy high but it rarely feels as compelling as spending time with the characters from Berk, leaving the dragon-poaching subplot often feeling like a distraction (or, more likely, a concession to viewers new to the franchise). These movies have always excelled in presenting majestic vistas and here the exceptional eye for detail is kicked up a notch, in a few places the realism of the environments even making the stylised characters seem a little out of place. Overall this is a delightfully satisfying conclusion that, although lacking the freshness of its predecessors, still retains their magic.